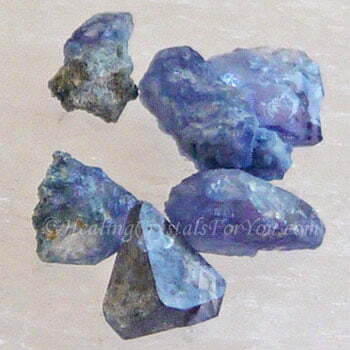 Benitoite crystals have a quite blissful energy that stimulates the growth of joy and happiness and expands your consciousness. 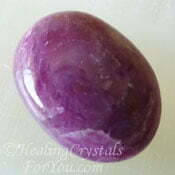 They have a compelling effect when used at the third eye chakra, creating a highly beneficial outcome which may stimulate your psychic abilities. 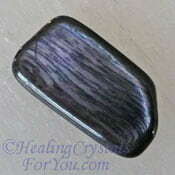 The vibration of these rare stones may aid you to be aware of coincidences as they play out in your life. They may trigger an increase in synchronistic events, and may help you to see the deeper meaning of what you are experiencing. 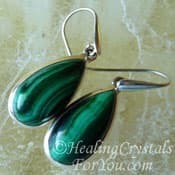 They may also assist the flow of telepathic gifts to come to life, especially between you and someone with whom you have a close relationship. The meaning of the name of this stone relates to the location where they were first found, in a remote area of San Benito County in California USA. 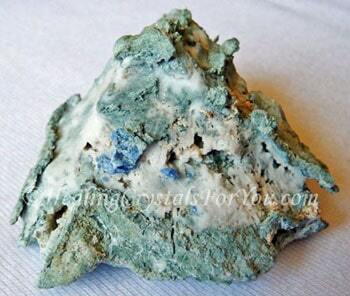 This is the official state stone of California, which also just happens to be the only place where gem quality deposits of this stone have been found. 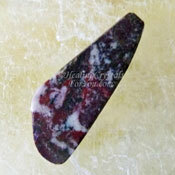 It is found in a couple of other places but none of the other stone is gem quality. 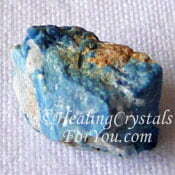 This rare blue stone is a blue barium titanium silicate mineral, that occurs as an inclusion with or on other stones. 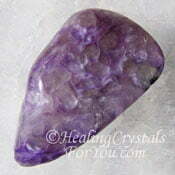 While it is usually colored blue, there have been some rare white, clear, pink and purple stones found. 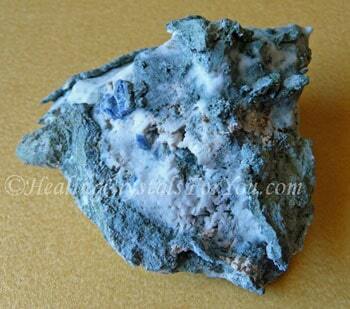 It may be found in combination with Natrolite, which is what the white rock in the image above is. 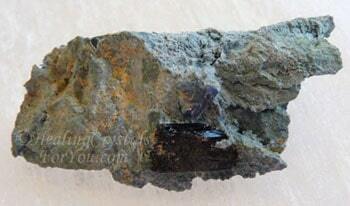 It is also found alongside Albite, Neptunite... see picture below, Crossite or Joaquinite or in fractures of Serpentine rock. 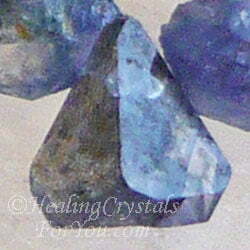 When these stones were first discovered in the early 1900's they were thought to be a type of sapphire. 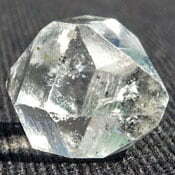 But once they were x-rayed they were found to have a unique tabular or pyramidal crystalline structure. 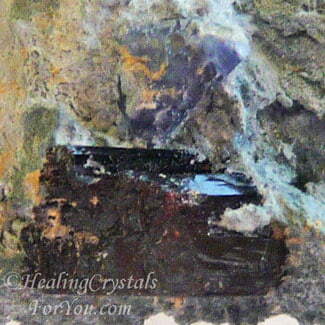 These stones are a mix of a number of minerals including manganese and lithium. 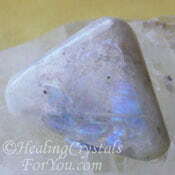 When they are placed under a UV light they will fluoresce blue. Specimens like the one shown here, that occur in combination Natrolite stone are very powerful high vibration stones that will help to expand your consciousness. 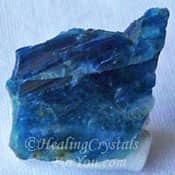 The crystal properties of this stone strongly relate to their strong action within the third eye chakra, as they may help to boost your psychic abilities. 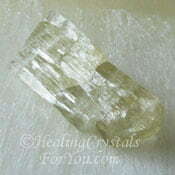 One such ability that this mineral is known to trigger is the gift of mental telepathy. It is especially likely that telepathic gifts may be triggered between people who are in a close personal relationship. If you use it in meditation, it may help you to make contact with the angelic beings that arrange positive synchronistic events. Communicate with these beings either directly, or via your spirit guides, and ask them to give you messages about what you need to know, via synchronistic events. They also have a powerful action when used in meditation, particularly if you wish to astral travel, when they may facilitate journeys to places where your soul needs you to go. 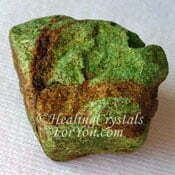 This mineral is known to have a good healing action which is very beneficial to help when you are lacking energy. 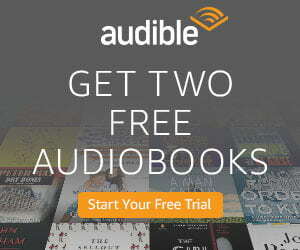 It may be especially helpful when you are feeling physically worn out or exhausted. 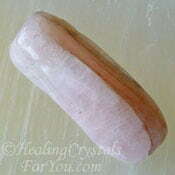 It also has a beneficial energy to assist anyone who is emotionally worn down, as it helps to uplift your feelings. 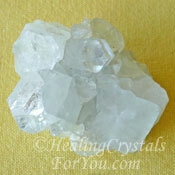 It will help to clear negative thoughts that have been causing you to feel out of sorts. 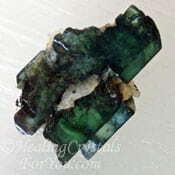 The energy of these stones may also help you to gain greater understanding when faced with issues that may relate to past life events. They will help you to understand the reason why you have this issue and how it relates to your soul path in this lifetime. "I can't change the direction of the wind, but I can adjust my sails to always reach my destination." Jimmy Dean. 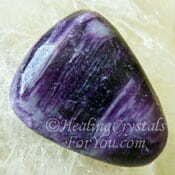 These stones are excellent to generate coincidences, but if you would like to increase how often they might occur you might also like to combine other stones with them, that are known to initiate coincidence and synchronicity. There are quite a few stones would work for this purpose including the lovely Rainbow Moonstone, Ruby stones, Blue Euclase, Charoite, Gaspeite and Malachite. 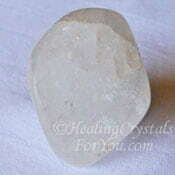 Many people are drawn to using third eye chakra crystals, as they help to stimulate a range of psychic abilities. While using this stone on its own is beneficial you may like to combine it with other third eye stones to make the process work more quickly. 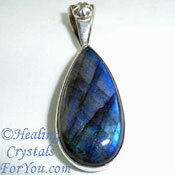 Stones that will combine well with it includes Kammererite, Hypersthene, Vivianite, Petalite, Pollucite or Labradorite. 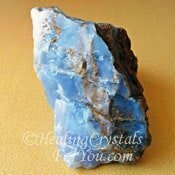 This is a very good stone to stimulate your telepathic gifts, and may be combined with other stones that also stimulate mental telepathy if you are not getting it to happen at the rate you would like. 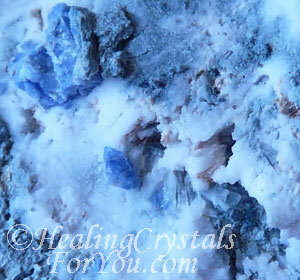 There are a number of other stones that you can combine with this crystal such as Natrolite, Apophyllite, Heliodor, Blue Chalcedony, Campbellite, or Lazulite that stimulate telepathic gifts.